In order to qualify as a deduction, business must be discussed before, during, or after the meal and the surroundings must be conducive to a business discussion. For instance, a small, quiet restaurant would be an ideal location for a business dinner. A nightclub would not. Under the Tax Cuts and Jobs Act of 2017, the deduction remains at 50 percent for taxpayers who incur food and beverage expenses associated with operating a trade or business. For tax years 2018 through 2025, however, the 50 percent deduction expands to include expenses incurred for meals furnished to employees for the convenience of the employer. Amounts after 2025 are not deductible. Employee meals while on business travel also remain deductible at 50 percent. For tax years 2018 through 2025; however, the 50 percent deduction expands to include expenses incurred for meals furnished to employees for the convenience of the employer. Amounts after 2025 are not deductible. Additionally, the deduction for business entertainment expenses is eliminated (only meals at 50 percent). The mileage reimbursement rates for 2018 are 54.5 cents per business mile (53.5 cents per mile in 2017), 14 cents per charitable mile (unchanged from 2017) and 18 cents for moving and medical miles (up from 17 cents per mile in 2017). If you own two cars, another way to increase deductions is to include both cars in your deductions. This works because business miles driven is determined by business use. To figure business use, divide the business miles driven by the total miles driven. This strategy can result in significant deductions. Whichever method you decide to use to take the deduction, always be sure to keep accurate records such as a mileage log and receipts. Section 179 expensing for tax year 2018 allows you to immediately deduct, rather than depreciate over time, $1 million of the first $2,500,000 million of qualifying equipment placed in service during the current tax year. Equipment can be new or used and includes certain software. All home office depreciable equipment meets the qualification. Indexed to inflation after 2018, the deduction was enhanced under the Tax Cuts and Jobs Act of 2017 to include improvements to nonresidential qualified real property such as roofs, fire protection and alarm systems and security systems, and heating, ventilation, and air-conditioning systems. The “Bonus Depreciation” for qualified assets (new equipment only–no used equipment and no software) placed in service for tax years 2015, 2016, and through September 26, 2017, is 50 percent. Businesses with eligible property placed in service after September 27, 2017, and before January 1, 2023, are allowed to immediately deduct 100 percent of the cost. The bonus depreciation will be phased downward over a four-year period: 80 percent in 2023, 60 percent in 2024, 40 percent in 2025, and 20 percent in 2026. Some deductions can be taken whether or not you qualify for the home office deduction itself. Contact me to learn more about home office deductions. 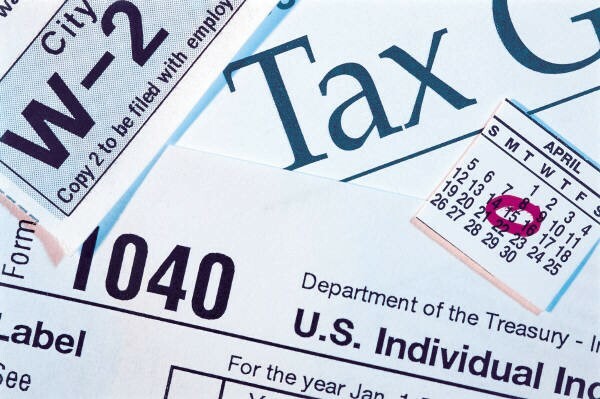 IRS Have Released a Revised W4, Do You Need to Change Your Tax Withholdings?